my makeup needed a makeover. okay let me clarify, my makeup storage needed a makeover and after having seen a great DIY Lucite tray tutorial on Pinterest i decided that was exactly what my vanity was missing. what works best with lucite? more lucite. and glass. and gold. so i headed to Michael's to pick up the necessary products. 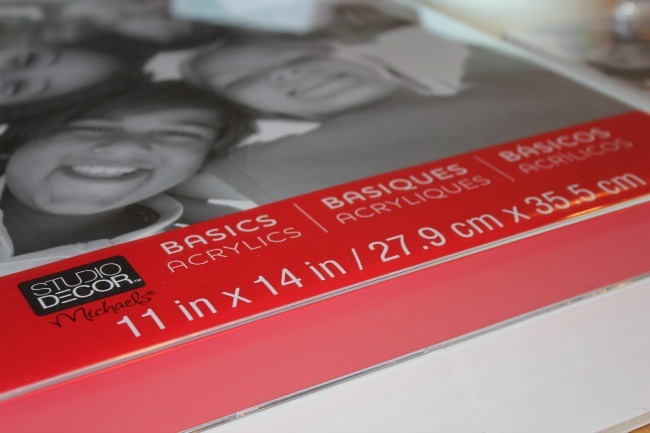 to begin you will need an inexpensive acrylic frame. they come in a variety of sizes and i selected two, one 11x14 and a 5x7. in addition to the frames i picked up three different glass containers as well a delicate wood box. i decided the solution to tying all of these products together would be the new Sharpie Paint Markers. my current favorite color palette includes gold and white so naturally those were the two Sharpie Paint Markers i selected. 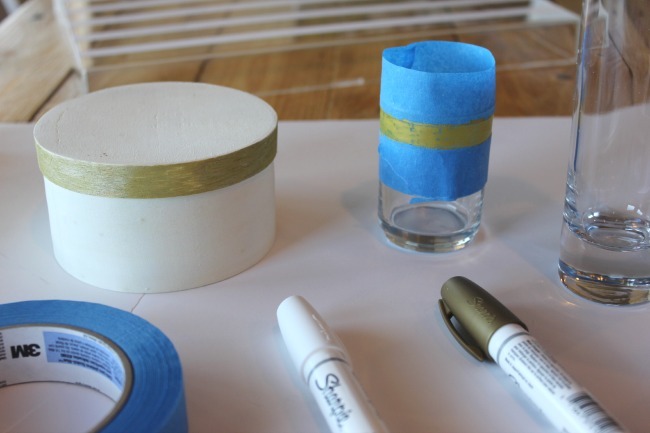 painter's tape, pencil and ruler are additional items needed for this tutorial however most of those can be found in your kitchen junk drawer, so please proceed. first you will do a little deconstructing. 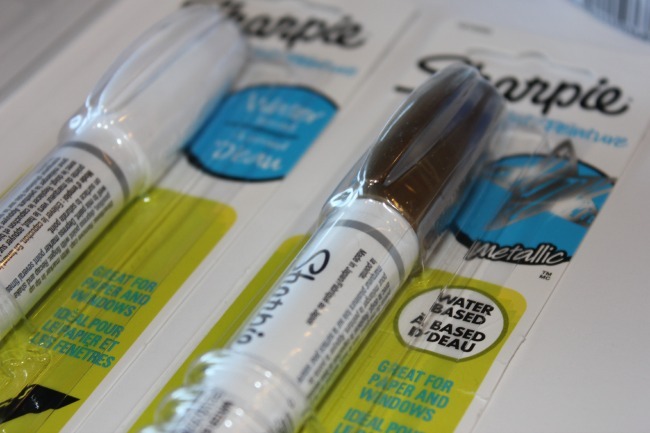 remove packaging from Sharpie Paint Markers, frames and any stickers from glass jars. proper prep is essential for any DIY project. 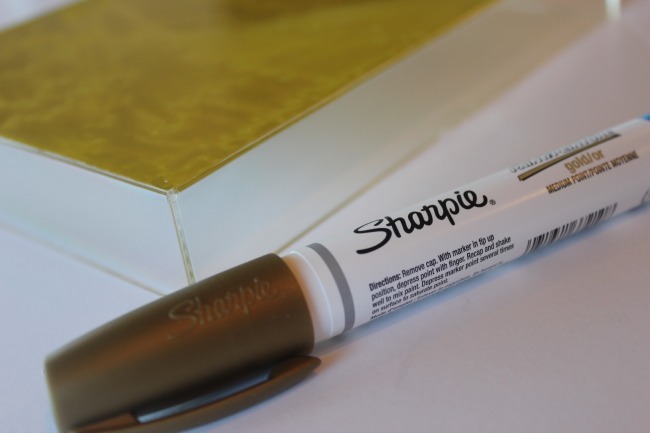 the Sharpie Paint Markers are an oil based product and will paint on any surface so the sky's the limit. 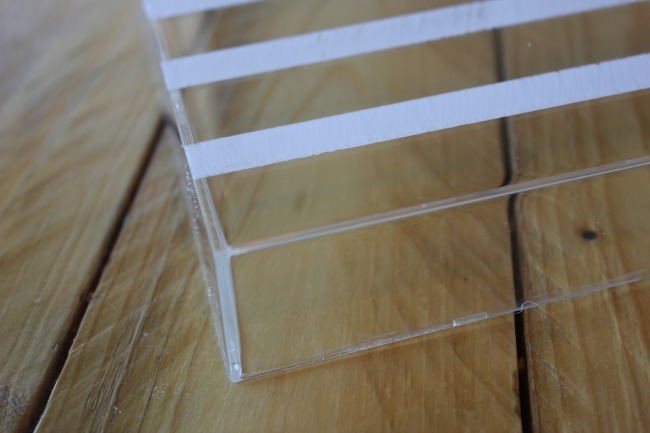 to begin your lucite tray you will need to mark off the areas you would like to paint. 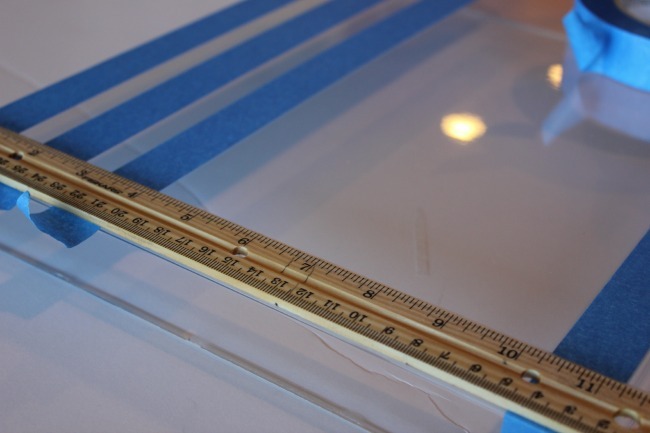 i am working on a striped tray so my ruler comes in handy to measure the strip distance. i decided to paint on the underside of the tray so that the paint would not get scratched or chipped from products placed in the tray. 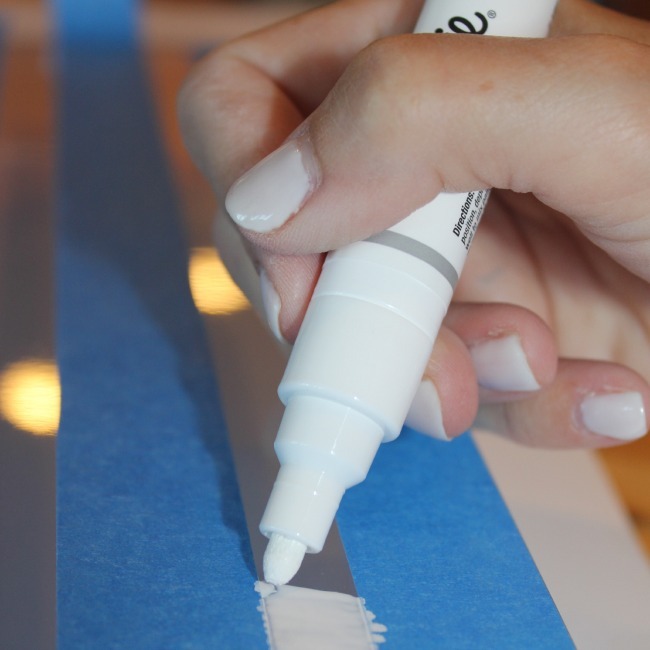 the blue painters tape works well to mark off the lines but be sure to use the eraser end of your pencil to seal the tape down, otherwise the paint from the Sharpie Paint Markers may leak under your tape. above is the finished tray. 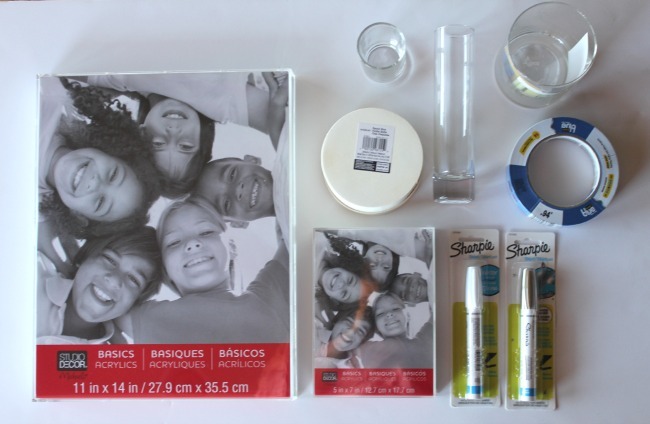 i love the white stripes with the lucite, it is a perfect combination. i decided to paint the bottom of my smaller tray a solid gold. i mean, it doesn't get any better than gold paired with white stripes. to tie in the wooden box and glass containers i added a gold or white stripe to each. 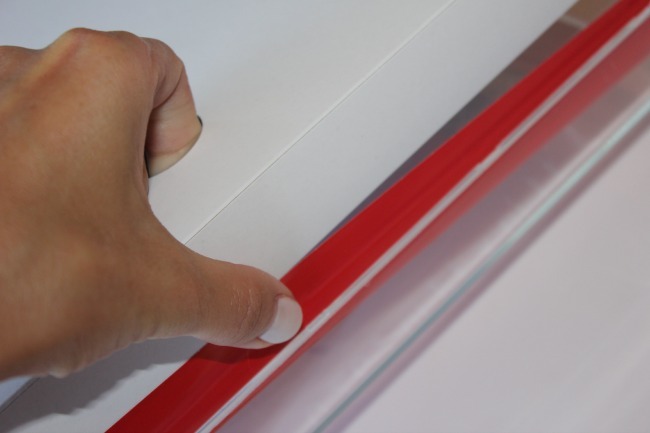 i am going to warn you one last time, make sure to press the edge of your tape with the pencil eraser to seal the tape to the glass. no matter how hard you press with your fingertip it seems you just cannot get the tape to seal as well as it does with a pencil eraser. 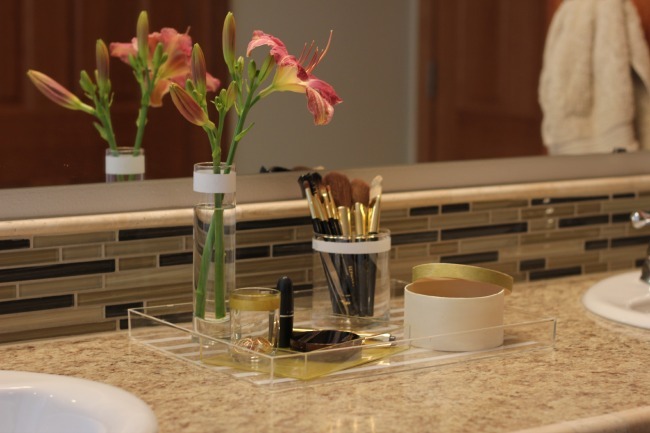 give your products a few minutes to dry and go ahead with the vanity top makeover. i decided to place my jewelry favorites in the round wooden box, this way they are quick and easy to get to on a daily basis. my makeup brushes have plenty of room in my glass jar. 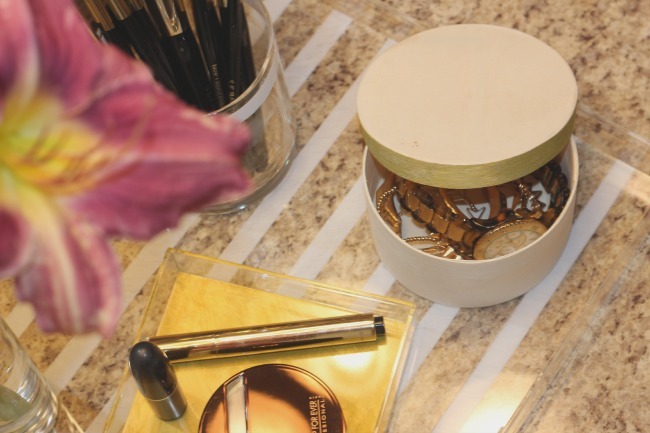 i later added my mascara and liner to this jar as well to make them even more accessible on a daily basis. my summer lip color by MAC (Nouveau Pink), Make Up For Ever Bronzer and Yves St. Laurent Touche Eclat take up vital real estate on my small gold tray. my mini glass container (designed for votives) has been repurposed to hold my small jewelry essentials, i.e. : rings & earrings. 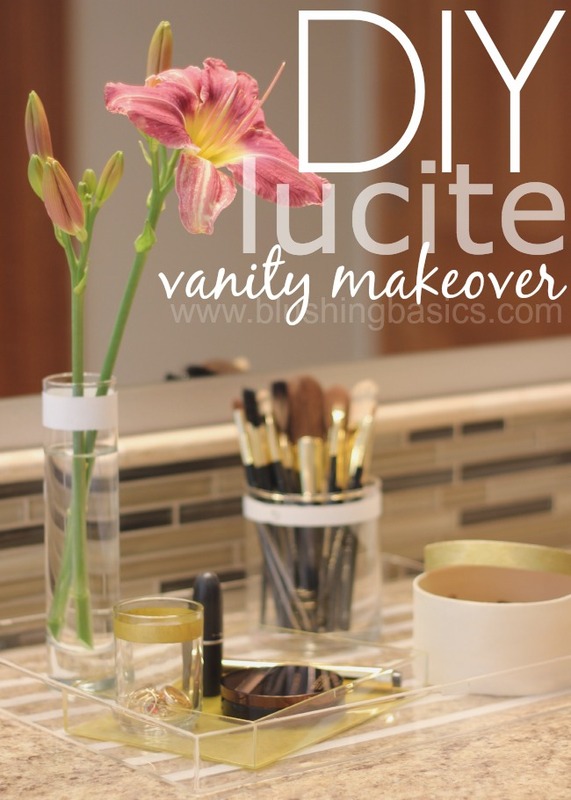 the entire vanity top is completed with the skinny vase filled with lilies from my garden. enjoy your new lucite vanity!